Your roof is one of the first things people see as they approach your house. Calling us to professionally clean your roof will dramatically increase your property’s curb appeal but that’s not all. Fallen debris and moss buildup can cause damage to your roof leading to harmful water leaks. We’ll help reduce the possibility of expensive roof repairs with our extensive roof cleaning services. Debris can cause roof damage and roof leaks. Leafs, sticks, and debris can build up and if left for extended periods of time they can create a dam that blocks rainfall from properly draining off your rooftop. This can cause a buildup of water that will sit and slowly creep under your shingles. Soon you’ll have water leaking into your property causing damage to your roof decking, interior walls, sheetrock, and floors. It’s important to keep your roof cleared of all debris, grime, and moss and to have this done professionally. If you try to do it yourself with a pressure washer you may cause even worse damage and using a pressure washer on your roof can possibly void your roof’s warranty. The Grime Fighters can clean any roof safely and thoroughly. Protect your property and family. Only work with fully insured roof cleaning professionals. 1,000 Day Healthy Roof Guarantee. If you see even a trace of recurring Gloeocapsa Magma cells (or anything similar) within 1,000 days of your Professional Roof Cleaning service from Grime Fighters, we’ll fix it for free, no questions asked. Cleaning your roof can be extremely challenging and unsafe. Roofs are steep and they get very slick when wet and full of cleaning solution. Many people every year fall from their roofs while trying to perform necessary maintenance. If you don’t use the right solution, this too can cause damage to your roof. Not using the right solution may also cause damage to plant life as it drains off your roof. Walking on your roof can loosen granules and tear your shingles. Don’t try to clean your roof yourself. Call the Grime Fighting professionals for our roof cleaning services, we’ll clean your roof conscientiously, effectively, and safely. Serving homeowners throughout the Lehigh Valley, including Allentown, Bethlehem, Easton, Emmaus and Macungie! Find out exactly how much it will cost to get your roof cleaned from the comfort of your own home. Roof cleaning is an important part of homeowner maintenance. Dirty roofs can deteriorate shingles prematurely causing roof shingle failure. Many times the shingle although bad looking in appearance isn’t damaged or compromised. What Are Those Black Streaks On Your Roof? These are algae cells, officially known as Gloeocapsa Magma. Besides being ugly and driving homeowners crazy because they detract from one of your most expensive possessions, they are also extremely destructive. In our experience as Grime Fighters, many homeowners have NO IDEA that their roofs can be cleaned of damaging Gloeocapsa Magma cells. Imagine spending $26,000 on a brand-new roofing deck and shingles for your home, only to find out that you could have had them professionally cleaned and restored for a mere fraction of the cost. Its awful just thinking about it! If youre dealing with a possible Gloeocapsa Magma cell problem, then Grime Fighters has some good news for you. With our low pressure chemical application, all your algae woes and moss growth can be gone with one phone call, and in a single day of treatment. With Grime Fighters Roof Cleaning packages starting at only $469.00, its never made so much sense to protect your roof investment, and avoid the exorbitant and inevitable replacement costs that will come from ignoring your Gloeocapsa Magma cell problem. 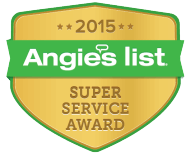 Did You Know That Roof Cleaning Is Recommended By Shingle Manufacturers? Owens Corning and GAF, and the Asphalt Roofing Manufacturers Association recommend a low pressure chemical application using specific, approved detergents to restore shingle surfaces that are currently infested with roof algae. Many homeowners are surprised to learn that their shingles require cleaning maintenance. When was the last time your homes roof was professionally cleaned? At Grime Fighters, we only use the surfactants, systems, and methods recommended by these world-class manufacturers, to guarantee you a safe and damage-free roof restoration investment. Your roof is simply too important and expensive to take risks with. At Grime Fighters, we understand that. 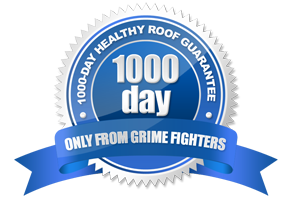 Did you know that only Grime Fighters offers you the protection of our 1,000-Day Healthy Roof Guarantee? While other cleaning contractors may come by and quickly blast the algae, mold, or mildew off your roof with a sloppy, potentially damaging, high-powered pressure washing unit, this will do nothing to address the underlying infestation of Gloeocapsa Magma cells that have taken root on your shingle surfaces. Within a few weeks, the problem will re-emerge, and within months, youll be back to square one, your investment completely lost. Thats why at Grime Fighters, we treat not just the symptoms of mold, mildew, and algae, but also the root causes, and our methods, surfactants, and systems for doing so are so effective, that we are proud to offer you Pennsylvanias only 1,000-Day Healthy Roof Guarantee. If you see even a trace of recurring Gloeocapsa Magma cells (or anything similar) within 1,000 days of your Professional Roof Cleaning service from Grime Fighters, well fix it for free, no questions asked. Thats what you should expect from a professional, and you can only get it from Grime Fighters.